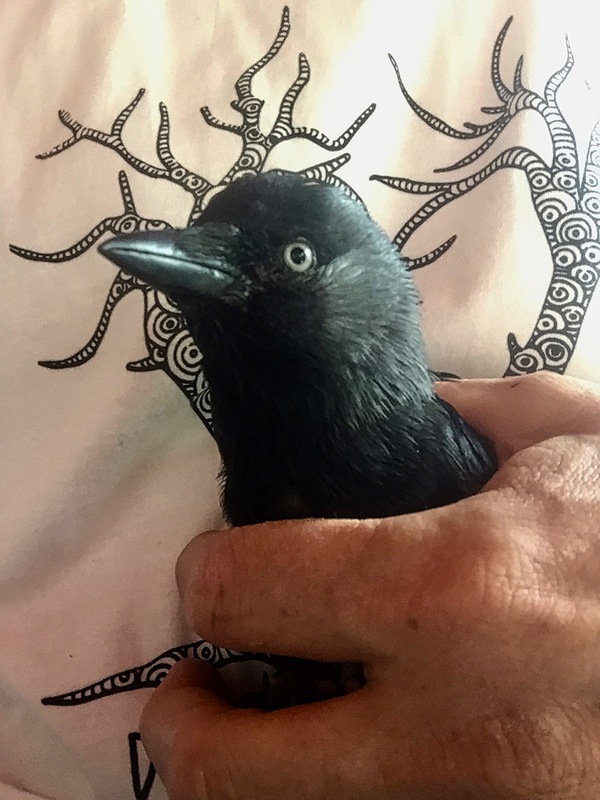 When jackdaw Kojak came into our life, about one year ago, he was that “other being” that needed help. It didn’t matter that he belonged to a different species, was just a bundle of skin, bones and scarce plumage, covered in dirt. What did matter – he was cold, he was dehydrated, he was hungry, he was frightened. He needed help and accepted our support, otherwise he would have lost the very only life everybody is desperate to hang on to, no matter how fragile it is, no matter what biological category or species one is in. 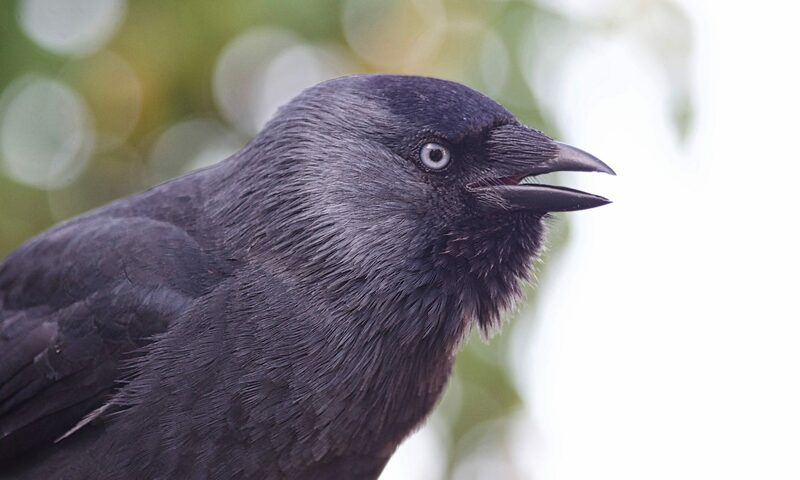 Kojak was not different to any other sentient being, he wanted to live and – with our help – managed to do so, getting stronger day by day, growing up into a “normal looking” jackdaw, becoming eventually a respected part of our residential jackdaw community, albeit keeping a disability. He was not the only one benefiting from our altruism. We did too. Every time we saw him, he brightened up the moment. He was that miracle, who not only “just” survived against all odds, but also showed off his whole cheeky and curious personality, a fighter, meant to survive. We felt privileged to share our lives with him and got to know him. Without any warning whatsoever, he passed on last night and left this place. His pals in the aviary looked as shocked as we were when we discovered his lifeless body. 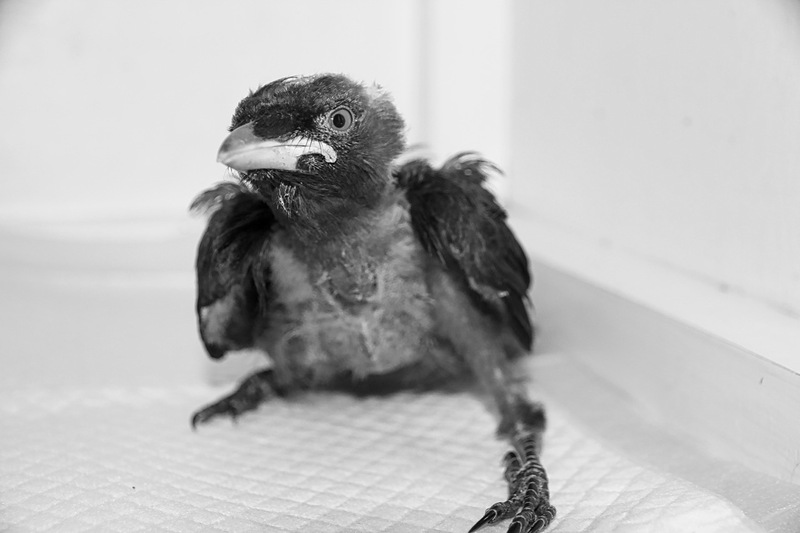 He leaves behind the memories of the miracle jackdaw Kojak who survived and thrived, only for a year – but as we know “it’s not the years in your life that count, it’s the life in your years”. I was sorry to read that Kojak has passed on. Thank you for giving him renewed life albeit for a short while. Every life matters. Fly high Kojak. Always a sad moment when one passes away without warning – too many birds go like that – but he left you with many happy memories. Sleep well little one! 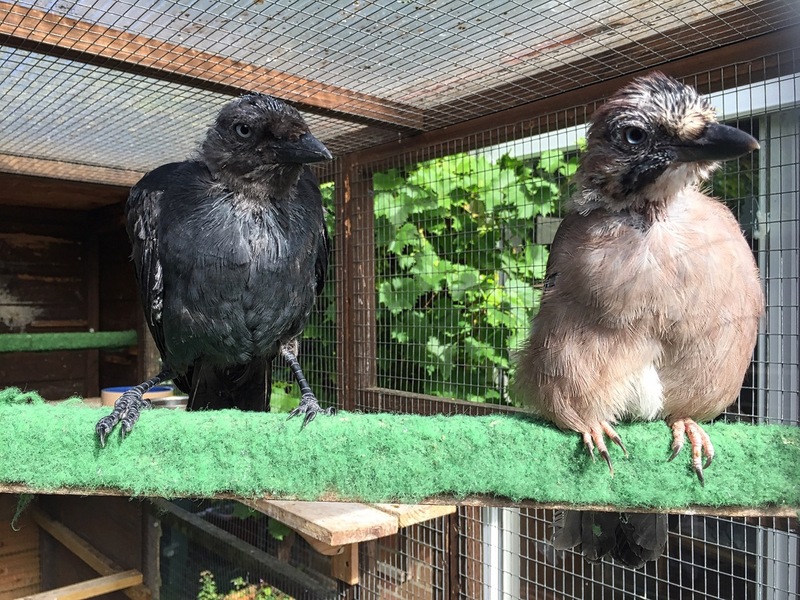 Previous PostPrevious How To Find A Corvid Friendly Wildlife Rescue Or Rehabber?